At Pierson Dental, Dr. Melvin Pierson is an avid user of the latest dental tools and techniques for the sake of his patients, and he enjoys being able to improve their oral health in simpler, faster, and more comfortable ways. Our team’s Sicklerville, NJ office is outfitted with state-of-the-art technology that makes a real difference in the quality of every visit, and we can’t wait to introduce you to it. Contact us today if you’re ready to schedule an appointment for you or a family member! As Dr. Pierson inspects your smile during your first appointment, you may find yourself sitting in the treatment chair and wondering just what he’s seeing in there. Thankfully, intraoral cameras are available as a valuable patient education tool that can shed some light on the realities of your oral health. The camera-tipped wand is inserted comfortably into your mouth by our team, and within seconds, highly detailed images of the mouth will be pulled up on a nearby monitor. With this visual aid at our disposal, it’s easier than ever to explain the dental problems patients are facing and what can be done to correct them. 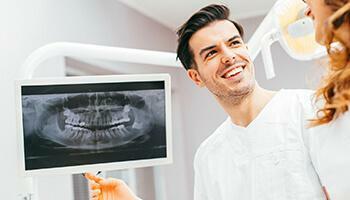 X-rays are an essential part of dentistry in today’s world, helping doctors identify damage, infection, and other urgent concerns that can’t be seen with the naked eye. 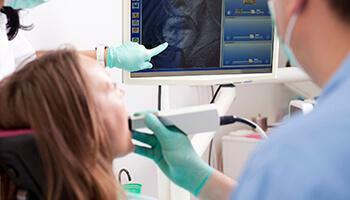 At Pierson Dental, we’ve invested in digital X-rays as a significant improvement over the use of traditional film. Now, they no longer require a darkroom or hazardous chemicals. The development of high-resolution images is processed instantly – our software can even color-code and magnify your smile on the computer screen! 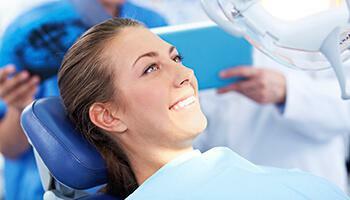 The amount of radiation exposure is also greatly reduced for a much safer patient experience. 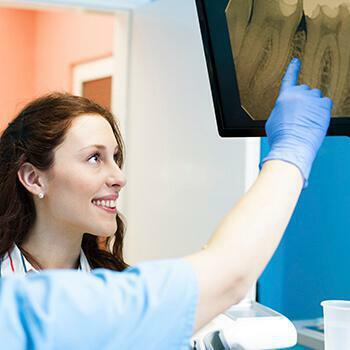 Cavities are a constant threat to your strong teeth, and with the help of DIAGNOdent, our team can successfully identify and treat them earlier than ever before. This advanced laser passes over the patient’s smile, comparing the reflection wavelength to a baseline reading in order to discover even small areas of decay in the hardest-to-reach areas of the mouth. This helps us preserve more healthy tooth structure and provide you with a stronger, healthier smile over time.